It’s sad when people prey on WWII veterans. This group mentioned above show 16 awards. The first six are legitimist the last 10 with an X aren’t. Those are made up awards that have nothing to do with the US Government. They were not issued by the Army in this case. 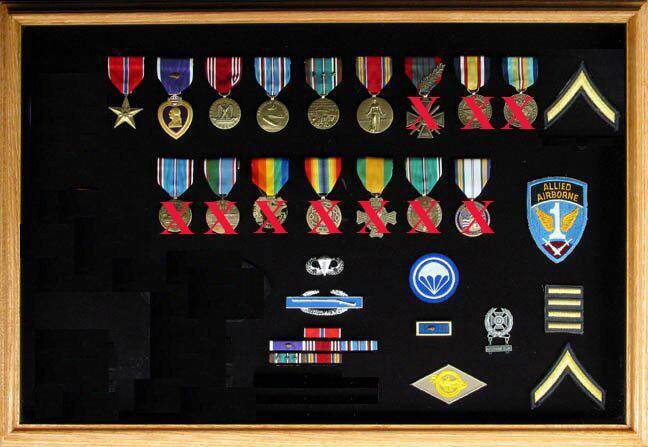 The 6 official awards are in order; Bronze Star for Meritorious Service, Purple Heart, Good Conduct Medal, American Campaign, European-Africa-Middle East and WWII Victory Medal. Just wanted to make people aware of this practice.